Dental Hygiene is an excellent career and profession. Congratulations on your decision! Now that you have decided on your profession, you need to choose a Dental Hygiene program that is right for you. Dental Hygiene Programs in Ontario are offered in both private and publicly-funded schools. How do publicly-funded Dental Hygiene Programs compare with private Dental Hygiene Programs? Originally, only publicly funded institutions were approved to operate Dental Hygiene Programs. However, in the year 2000 legislature allowed private career colleges to offer Dental Hygiene Diploma Programs. Both private and public colleges are under the jurisdiction of the Ministry of Training Colleges and Universities (MTCU). 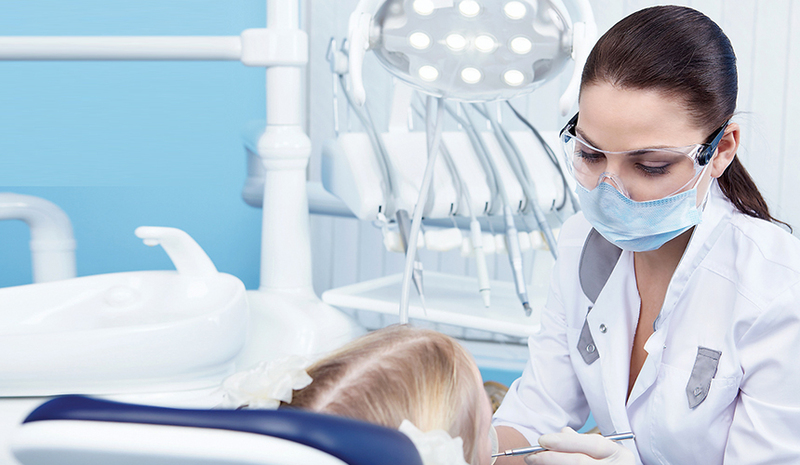 Become a Dental Hygienist in 18 months. All colleges, both private and public, must be accredited by The Commission on Dental Accreditation of Canada (CDAC). This is a separate, independent board that evaluates all colleges and ensures each college is up to the standards required to run a Dental Hygiene Program. CDAC carefully examines the curriculum of every Dental Hygiene Program across Canada and all diploma programs provide a curriculum that is similar in both hours and content. The Toronto College of Dental Hygiene and Auxiliaries Inc. has been accredited since its opening in 2004. 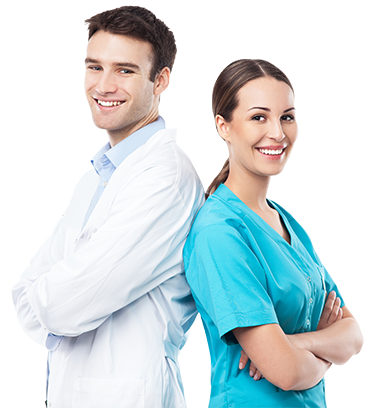 All accredited Dental Hygiene programs in Ontario offer a diploma in Dental Hygiene. This diploma permits graduates to write the National Board Exam and then leads to registration in the province of their choice. Private Career Colleges are not funded by the government, whereas in the community college system there is funding allocated by the government on a per student basis. As such, Private Career Colleges deliver their programs in a different manner, enabling students to complete their program in a shorter time frame. For example, the Dental Hygiene Program offered by TCDHA is completed in 18.5 months, while publicly funded programs can run anywhere from 24 to 32 months. This shorter time frame is seen as an advantage by many students who are eager to enter the workforce. Another benefit offered by TCDHA is the option to enter the program at various times during the year. The additional intakes allow more openings for for future students and more flexibility with start dates. TCDHA tuition fees are comparable to those of other Dental Hygiene Programs. There are no hidden fees at the TCDHA. We believe that the student should know what their financial situation is well in advance so that they can prepare themselves for the financial commitment of the dental hygiene program. What if Iwant to attend a program in a different province? Dental Hygiene education is run provincially, not nationally. Dental Hygiene is a self-regulated profession and each province has its own regulatory college and its own scope of practice. This means that the requirments of each province will be different. Currently there are private colleges located in Ontario, British Columbia and New Brunswick. What are the options in British Columbia? The Vancouver College of Dental Hygiene Inc., a sister school of the Toronto College of Dental Hygiene and Auxiliaries, Inc., is the only privately run Dental Hygiene College in British Columbia. It is also an accredited program. The Dental Hygiene Programs in B.C, both private and public, have different entry requirements than Dental Hygiene Programs in Ontario. In B.C., students are required to complete 30 first year university credits before than can be accepted to a Dental Hygiene Program. Graduates from any of the colleges in B.C have additional qualifications due to their scope of practice. For example, B.C. graduates can administer local anesthesia (give needles). Diploma programs in B.C. offer the option of additional education to earn a degree in Dental Hygiene. Regardless of where you graduate, an accelerated program still offers a quality education, an recognized diploma, and the same options for the future. What to Look for in a Dental College? In B.C, the Vancouver College of Dental Hygiene Inc. is currently the only private college. In Ontario there are several private colleges and we encourage you to do your research before choosing a college. Use the following list as a guide. The college should be an established institution. The Toronto College of Dental Hygiene and Auxiliaries Inc. was established in 2004, shortly after the passing of the legislation which allowed private colleges to offer Dental Hygiene Programs, so it is one of the oldest established private colleges. The college should have a great reputation. TheToronto College of Dental Hygiene and Auxiliaries Inc.has a great reputation. Dentists like to hire graduates from TCDHA and the graduates of TCDHA score higher than the national average on the National Board Exam. The college should offer a comprehensive community program. Offering students the chance for practical experience outside of the college is vital to the learning environment. At TCDHA we offer one of the most comprehensive community programs in the province. Students have the chance to collaborate with other professionals. The college must be accredited. As of 2013, the College of Dental Hygienists of Ontario no longer recognizes any applicant for registration who has come from a non-accredited program. TCDHA follows all accreditation guidelines and requirements and participates in site visits every four years. Previous graduates should recommend the program. There's no better way to learn about a program than to speak to those who have been through it themselves. People who've graduated from a good program will have positive things to say about it. Click here to view testimonials. The owners of the college should have a dental background. The Toronto College of Dental Hygiene and Auxiliaries Inc. and the Vancouver College of Dental Hygiene Inc. were founded by and are owned by a dentist and a dental hygienist who have a combined 50 years of experience in dentistry. An owner of a dental college who has dental experience has a better idea of what dental hygiene education should entail than an owner who does not have any dental qualifications or experience. The atmosphere of a school plays a huge part in your educational experience. Both the Vancouver and Toronto colleges have great school spirit. We encourage you take a tour and speak with current students. The faculty should have current knowledge of Dental Hygiene practices and be current in the profession. TheToronto College of Dental Hygiene and Auxiliaries Inc. and the Vancouver College of Dental Hygiene Inc. both have excellent faculty who have experience in the dental field, are involved in many professional associations, and stay current in the profession.